Calcium reacts with water, 4 of 4. Calcium metal (Ca) reacts vigorously with water (H2O), producing hydrogen gas (H2) bubbles and slightly soluble calcium hydroxide (Ca(OH)2): Ca + H2O -> Ca(OH)2 + H2. In this sequence a chunk of calcium is dropped into a beaker with water. Calcium first sinks but then bubbles up due to H2. Calcium hydroxide is seen as white precipitate. 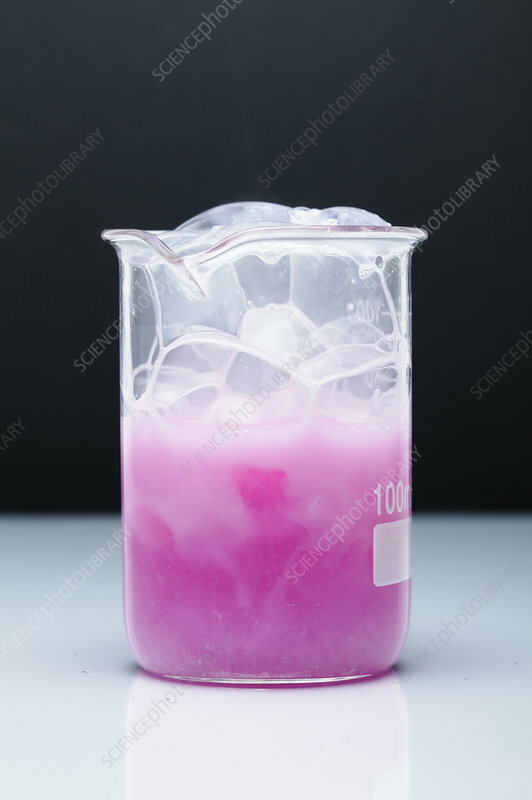 The presence of the hydroxide is accentuated by the addition of few drops of phenolphthalein indicator, which turns the solution pink, indicating alkaline solution.